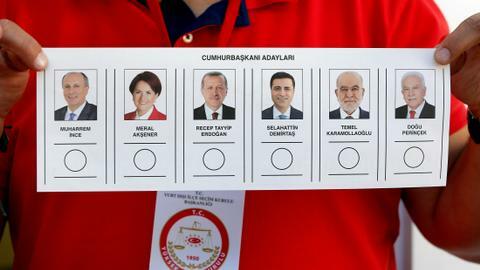 Ten political parties are running in Turkey's parliamentary elections, seven of them set up two electoral alliances. 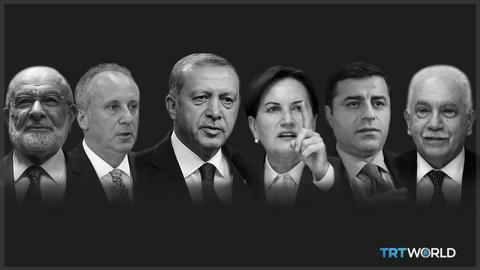 Three parties support incumbent President Erdogan for the presidential election on the same day, while others appear as opposition. 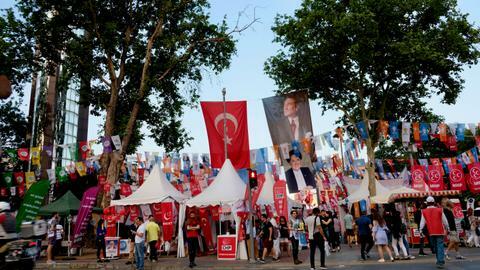 More than 59 million eligible Turkish voters on June 24 will choose their first president in a new governing system along with MPs to represent them in the parliament. In a referendum held in April 2017, Turkey voted in favour of the governing Justice and Development (AK) Party’s proposal to change the government from a parliamentary to a presidential one. As the new system goes into effect on June 24 with the elections, the presidential and parliamentary elections are critical for Turkey's future. Political parties are trying to hold a majority in the parliament in case their presidential candidate loses. That would help them balance the power between the legislative and executive branches. President Recep Tayyip Erdogan founded the AK Party in 2001, two years after he was released from prison where he completed his four-month sentence for reading a poem of a well-known poet. The secularist judges described the poem as “provocative and a threat to secularist ideology." At the time conservative political parties were banned by court orders. Erdogan and the former president Abdullah Gul were members of the Virtue Party which was shut down by the Supreme Court in 2001, accused of "threatening secularism." After the closure, a new party, Felicity Party, was formed, but Erdogan, Gul and a number of other MP’s didn't join. Instead, they formed a new movement, gathering many right-wing politicians and liberals under one umbrella. In 2003, Erdogan's ban on participating in politics was lifted. He was chosen as an MP and became the party's leader. Gul resigned his post of prime ministry and Erdogan became the new premier of Turkey. The conservative AK Party, the longest governing party in Turkey’s modern political history, won the first election it entered in 2002 with a two-third majority in parliament and put an end to more than a decade-long coalition governments’ lead. It has never lost any elections since then. With the help of strong public support and structural reforms, the AK Party governments quickly diminished the influence of the military in Turkey’s politics. A historic move came by the AK Party in July 2009 and they announced that they started the peace process in 2013 in return for PKK to surrender their weapons and withdraw from Turkey. PKK is an internationally recognised terror organisation that has been fighting the Turkish state for more than 30 years and has killed more than 40,000 people, including civilians. Some military officers and nationalist parties criticised the move, but Erdogan was determined to bring an end to the clashes, which especially affected the development of southeast Turkey, where the PKK have been active. The process was violated by the PKK and ended in 2015. Since 2002, the AK Party has won 4 parliamentary elections, 3 referendums for constitutional change – one for a change in the system of government – received most of the votes in three local elections and its leader Erdogan won the first presidential election in 2014. And now, the AK Party will run in the 2018 parliamentary elections and supports Erdogan as its presidential candidate. The AK Party has set up an electoral alliance with the MHP and the BBP. Both parties, as well as the HUDA PAR and ANAP, supports Erdogan for the presidency. The BBP was founded in 1993 by Muhsin Yazicioglu who died in a suspicious helicopter crash in March 2009. Yazicioglu promoted a nationalist ideology and was a member of the Nationalist Movement Party (MHP). In 1991, he left the party and founded the BBP in January 1993. There is a 10 percent threshold in Turkey's parliamentary elections for the political parties to have seats. BBP could never pass the threshold, having around 1 percent of the votes in each election. The BBP was only once represented in the parliament when Yazicioglu ran as an independent candidate and was elected as an MP in 2007, until he died. The party's chairman has been Mustafa Destici since 2011. In March 2018, Turkish parliament passed a bill that changed the country's electoral system allowing political parties to form alliances in elections. And the right-wing BBP is one of the three parties in the People's Alliance, which also includes the AK Party and the MHP. But the BBP's candidates will be under AK Party's list of candidates in the ballot box. The Republican People's Party (CHP), founded in 1923 by the founder of the republic, Mustafa Kemal Ataturk, is as old as the republic itself, and governed Turkey in the single-party era until 1950. When the Democrat Party (DP) ran in the election in 1950, the CHP became the main opposition party. But in 1960, a coup overthrew the DP government in support of the CHP. In 1963, as worldwide tensions rose during the Cold War, the successor of Ataturk and then-chairman Ismet Inonu, defined the party’s position as "centre-left." And in 1974, the coalition government under CHP's leadership held a military operation in Cyprus in order to protect the Turks on the island, after a Greek general landed on the island an carried out massacres against the Cypriot Turks. Between 1960 and 1980, the CHP became part of five different coalition governments, but could not get enough votes to govern the country in a single party government. CHP held a secular and leftist line until 1980. That leftist line changed the army's stance on the CHP. Following a 1980 military coup, all political parties were dissolved including the CHP, which was later rebranded under the name Social Democratic Populist Party in 1985. And after the ban was lifted, the CHP was reinstated again in 1992. In the last 26 years of Turkish political history, the CHP has consistently failed to form a single party government. 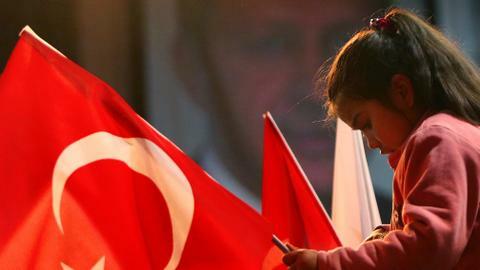 And since 2002, the CHP has been the main opposition party in the parliament, securing around 25 percent of the votes. Now the CHP is contesting elections as part of the Nation's Alliance with the Saadet party, the Iyi Party and the Demokrat Party. DP's candidates will be under the CHP's list. The CHP has nominated its MP Muharrem Ince as its presidential candidate. Ince has run for the party's leadership twice and lost both times to Kemal Kilicdaroglu, who has been the chairman since 2010. The DP formed in 2005 after two right-wing parties, the True Path Party (DYP) and the Motherland Party (ANAVATAN) decided to unite their parties. The two parties had dominated Turkey's politics in the 1980s and 1990s in coalition governments, but failed to grasp seats in the parliament in the 2002 elections because of the election threshold. However, they have not managed to climb above the threshold since 2005. The right-wing DP now is entering the election under the alliance formed by the CHP. Their candidates will appear under the CHP's list on the ballot for the June 24 parliamentary elections. For the presidential election, the party announced that they support Meral Aksener, the head of Iyi Party. The HDP is a rebrand of the BDP (Peace and Democracy Party) in order to contain a variety of members from different ideological and ethnic backgrounds, since the HDP was known for the support it mostly received from Kurdish majority-populated areas of Turkey. The party and its predecessors are accused of having links with the PKK. All of them before the BDP have been closed and banned from politics by the judges since the 1980s. The HDP, on the other hand, got more than 13 percent of the votes in the June 2015 general elections, passing the threshold for the first time in its history and securing 80 seats in parliament. Before 2015, the candidates used to run independently for a seat in the parliament and the party had never held that many seats. The PKK agreed on a ceasefire after the talks with Turkey's intelligence officers, with the HDP members' mediating in 2013, but broke it in July 2015. In the re-election in November 2015, the party received 59 seats in the parliament, since the PKK resumed its wave of violence after a period of ceasefire. After the legislative immunities were lifted in 2016 by the parliament, 11 MPs of the HDP were removed. Now, the party has 48 seats in the parliament. But some of them have been jailed for alleged links to terrorism, including former co-chair and now the presidential candidate Selahattin Demirtas. The other co-chair, Figen Yuksekdag, is one of the MPs who was removed from her post and is now in jail, as well. The HDP and its members have repeatedly denied links to the PKK terror group. The party received most of the votes from the southeastern cities of Turkey, which are mainly Kurdish-populated, followed by the AK Party. The HDP is running in the elections independently, including Yezidis, far-left politicians, and Armenians on its list. 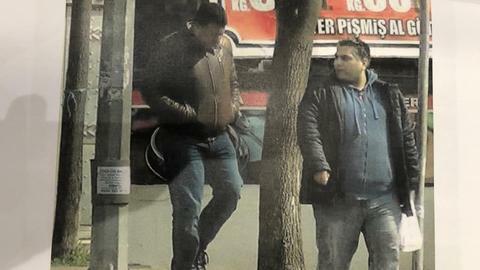 The Free Cause Party (HUDA PAR) was founded by Mehmet Huseyin Yilmaz in 2012. The party mostly operates in Turkey's southeast and eastern Anatolia and gets support from mainly conservative Kurdish voters, rejecting the HDP’s discourse and prioritising religious identity instead of the ethnic one. HUDA PAR is running independently in the election, but at the same time supporting Erdogan as their presidential candidate. The Iyi Party was founded by former MHP (Nationalist Movement Party) official Meral Aksener in late 2017. She was expelled from the MHP after contesting for the leadership against Devlet Bahceli, who has been the chairman since 1997. She criticised Bahceli for cooperating with President Erdogan and "violating the nationalist ideology," along with a number of MHP members. Four other officials from the MHP joined Aksener to found the new political party. The party has six seats in the parliament, including one split from the main opposition party, CHP, besides the five MPs who left the MHP as their leader. Aksener is running as an independent presidential candidate. She needed 100,000 signatures – as political parties in Turkey need at least 20 seats in the parliament to nominate a presidential candidate – which she was able to gather within days. For the parliamentary elections, the party will run under the Nation's Alliance which is made up of the CHP, Iyi Party, Saadet (Felicity) Party and DP. Hence, the newly founded party won't need to fight to pass the threshold to have seats in the parliament. The Nationalist Movement Party (MHP) was founded in 1969 by Alpaslan Turkes, a prominent figure for Turkey's nationalists and anti-communists, and it promoted Turkish nationalist ideology during the Cold War. The nationalist movement played a key role in the 1960 coup with the Kemalist generals. After the 1960 coup, the new laws in favour of labour rights and unions and youth movements faced criticism from party members. Until the late 1970s, Turkey saw street clashes between far-right groups, who were backed by the MHP, and far-left groups. In the 1980 coup, the MHP was banned from politics and its leader Turkes was jailed for more than 4 years. After Turkes was released and the ban was lifted, the MHP was reinstated in 1993. But the party couldn't pass the threshold in the 1995 elections. Devlet Bahceli, who served as deputy prime minister in a coalition government from 1999 to 2002, has been leading the party since Turkes passed away in 1997. When Bahceli asked for a snap election in 2002, the party did not gain any seats in the parliament. The MHP has been back in the parliament since the 2007 parliamentary election, when they declared their support for AK Party's presidential candidate while all the other political parties opposed. In the last general election in November 2015, the MHP got 40 seats in parliament. After five of them resigned party membership to join Iyi Party, the MHP now holds 35 seats in parliament. After 2007, when MHP and AK Party chose Abdullah Gul as the 11th president of Turkey, Bahceli gave limited support for AK Party's policies. Before 2014, Turkey's presidents were elected by the parliament. When the peace process started in 2013, Bahceli had been strongly critical of the governing AK Party. But the PKK violated the ceasefire in 2015, and a year after Turkey faced a coup attempt on July 15, 2016. 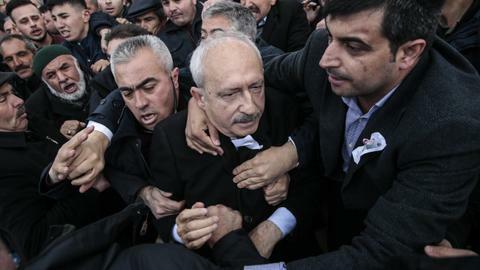 Those incidents brought the two parties together, as Bahceli has given unconditional support to Erdogan. The MHP will support Erdogan in the presidential election, and it is running in the parliamentary elections under the Public Alliance that also includes the BBP. SP is a conservative party which has had around 1 percent of the vote since its foundation in 2001. Its predecessors were all banned from politics by the secularist judges. The Welfare Party, which was part of the coalition government and closed in 1998, was also the political party that President Recep Tayyip Erdogan used to be a member of. Later, the Virtue Party was founded and banned in 2001, and the members were split into two. One group led by Erdogan, founded the AK Party, the others founded the SP. During the AK Party administrations after 2002, none of the conservative parties was banned from politics and the Felicity Party has been able to contest elections since then. Despite being a small party who could never send any MPs to parliament, SP's leader Karamollaoglu made an effort to unite all of the opposition parties to support a joint presidential candidate. He couldn't manage to do that, but four opposition parties united under Nation's Alliance for the parliamentary elections. Karamollaoglu himself is running as his party's presidential candidate. SP got around 0.7 percent of the vote in the November 2015 elections. The Vatan Party is a continuation of the far-left movement in Turkey, that was active in politics since the 1960s. Its leader, Dogu Perincek has had very close ties to Russia since the Soviet era. They also support the Baathist ideology in Syria. Its successors were banned from politics, and the last one was founded in 1992, called the Workers’ Party. 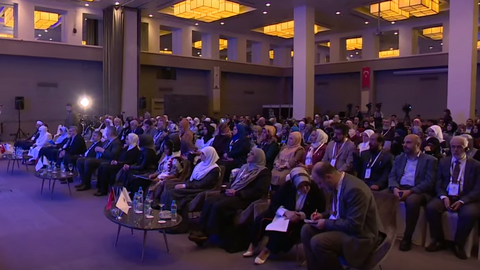 The party held an extraordinary congress on February 15, 2015, and changed its name to Patriotic Party. Doggu Perincek, who is the founder and the current leader of the party, is an independent presidential candidate. The party aims to unite the nationalists and socialists. The Vatan Party received 0.25 percent of the vote in the November 2015 election.